Boys & Girls Clubs of Greater St. Louis (BGCSTL) is proud to announce the 2018 Youth of the Year winner Michaelmonique Mayo! Being named Youth of the Year is the highest honor a Boys & Girls Club member can receive. 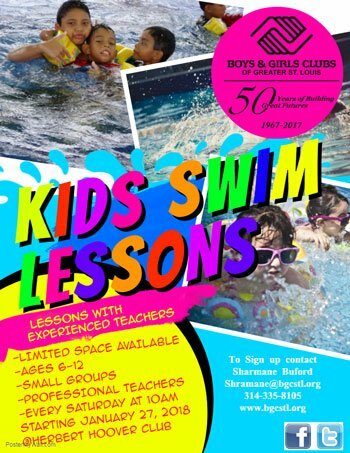 The award is Boys & Girls Clubs signature youth recognition program that celebrates the recipient’s contributions to their family, school, community, and Boys & Girls Club. Michaelmonique Mayo also won the inaugural Wanda and Michael DeHaven Boys & Girls Clubs Youth of the Year scholarship in the amount of $5,000. And, a Honda Accord courtesy of Frank Leta Automotive Group, also a first for the Club’s Youth of the Year! During her speech given at the organization’s Great Futures Gala & 50th anniversary celebration, Mayo reflected on having to live out of a car earlier in her life – but now she is excited to own one! As the new Youth of the Year and ambassador for the Boys & Girls Clubs of Greater St. Louis, this 17 year old Club member is a true example of an extraordinary young woman. Now that she’s won the honor, Michael Monique says, “I want to motivate youth to achieve their goals as well as encourage and set up programs for youth living in poverty.” She is a senior at Roosevelt High School and plans to attend college and major in Photo Journalism. 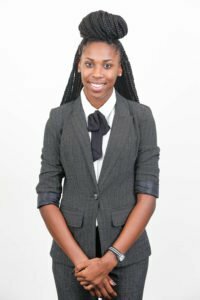 Michaelmonique was selected from a group of fourteen finalists who shared their story of perseverance and dedication to their family, Club and community before a panel of judges who chose the winner. 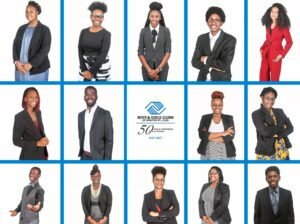 “The Youth of the Year honorees are shining examples and living proof that great futures start at the Boys & Girls Clubs. We are so proud of all of this year’s participants who took the time to complete a challenging yet worthwhile process. 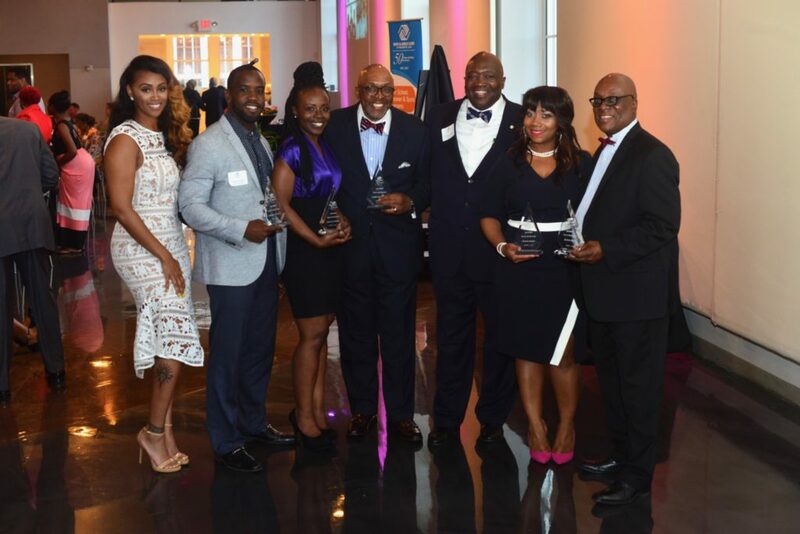 All possess the ability and ambition to be successful, and, should be recognized for their leadership, service, academic achievements and commitment to live a healthy lifestyle,” said Dr. Flint Fowler, President, Boys & Girls Clubs of Greater St. Louis. 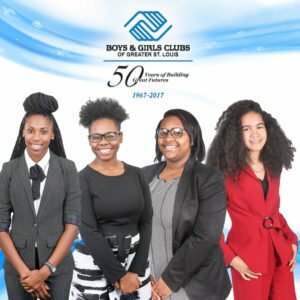 In mid-September, St. Louisan & Boston Celtic Jayson Tatum partnered with members of the Boys & Girls Clubs of Greater St. Louis to launch an effort to see which Club could collect the most donations in order to provide hurricane relief to the Boys & Girls Clubs in Houston and Florida who were impacted by recent hurricanes. On Saturday, October 7, 2017 at 11 am, he returned to St. Louis to visit the winning Club and to congratulate the Club members on their efforts! Tatum signed autographs, took photos and lunched with the winning Club members. Nearly 100 boxes of supplies were collected from all ten Clubs and community partners that included water, toiletries, canned food, wipes, girl’s hygiene products, deodorant, shampoo, batteries, flashlights, new bedding, board games and arts & crafts supplies. 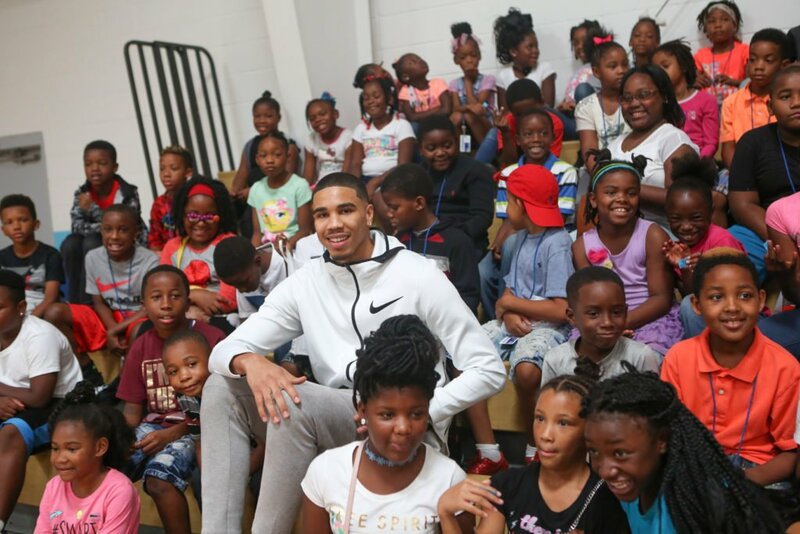 St. Louisan & Boston Celtic Jayson Tatum is partnering with the Boys & Girls Clubs of Greater St. Louis to provide hurricane relief to the Boys & Girls Clubs in Houston and Florida that were affected by recent hurricanes. Members from all ten Clubs have launched a challenge to collect the most supplies that will be directly delivered to the young people who attend the clubs in Houston & Florida. It’s hard to imagine but some of these Clubs lost EVERYTHING! To honor the hard work of the Boys & Girls Clubs of Greater St. Louis members collecting donations, Tatum has agreed to visit and have lunch with the local St. Louis Club that collects the most supplies! Water, toiletries, canned food, wipes, girls hygiene products, deodorant, shampoo, batteries, flashlights, new bedding, board games and arts & crafts supplies. Drop off at any of the below locations or CALL 314-335-8340 for more information. To make a donation to be used for hurricane relief supplies, click here. 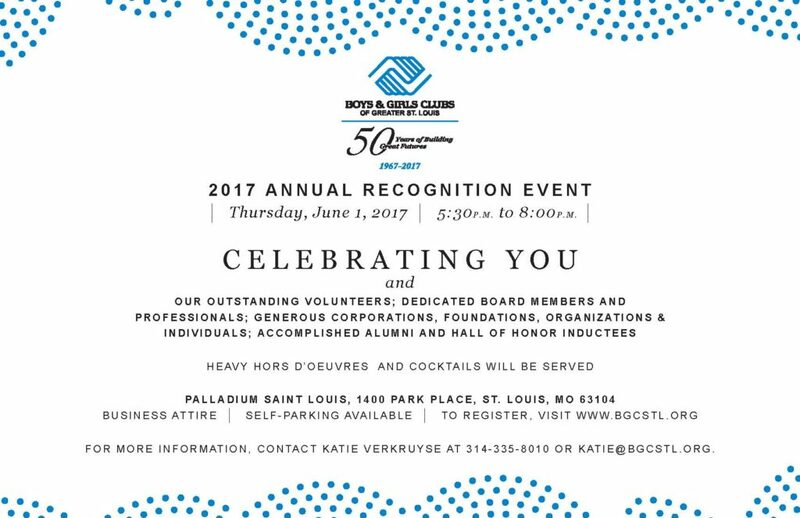 St. Louis, MO, August 2017 – Boys & Girls Clubs of Greater St. Louis welcomes new board members Michele Sowers – Husch Blackwell and Clive Grannum. Michele Sowers is a partner at Husch Blackwell and concentrates her practice on product liability and general business litigation in the firm’s Technology, Manufacturing & Transportation team. She has extensive experience working with manufacturing companies in the transportation industry — from the car dealerships her family owns in the St. Louis area to large automotive companies. Clive Grannum is an international executive focused on strategic operations, who has led global manufacturing based organizations with P&Ls of up to $1.4B. His experience comes from industry titans Dow Chemical Company, Rohm and Haas, The ICI Group, and The BOC Group, where he was central to expanding and maintaining market leadership in multiple categories. The Boys & Girls Clubs of Greater St. Louis is proud to announce Robert “Bob” Fulstone, who has served as a dedicated board member and volunteer for over 25 years, as the 2017 Richard H. Amberg Awardee! The Richard H. Amberg Award is presented to a Board member whose leadership and commitment has a profound impact on the Club’s ability to achieve its mission. Previously the Chief Volunteer Officer (CVO) of the Board in 2000 and 2001, Bob oversaw a capital campaign for the Club that secured the first $1 million gift from Dennis & Judy Jones – the largest single gift in the Club’s 38-year history. While CVO, Bob recruited an active and diverse group of Board volunteers, many of which who assumed major leadership roles for BGCSTL. He has also been honored with the Wind Beneath My Wings Award in 1999, the Recognition of Service Award, National Service to Youth Award, Local Service to Youth Award, the Board Challenge Champion, and recognition for marketing excellence by the Boys & Girls Clubs of America. Bob also chaired the Campaign for Kids annual fund drive and the Resource Development Committee. During this time, the Club had the largest increase in funds raised and more $10,000+ donors for the Jeremiah Millbank Society than ever before. He now serves as the Vice President of the Missouri State Alliance for the Boys & Girls Clubs of Missouri, and makes calls to fund such programs as Meth Smart, SMART Girls, Passport to Manhood, and more. Bob also generously dedicates his time to the Youth of the Year event in Jefferson City, preparing youth to participate in the prestigious program, the highest honor that a Club member can receive. 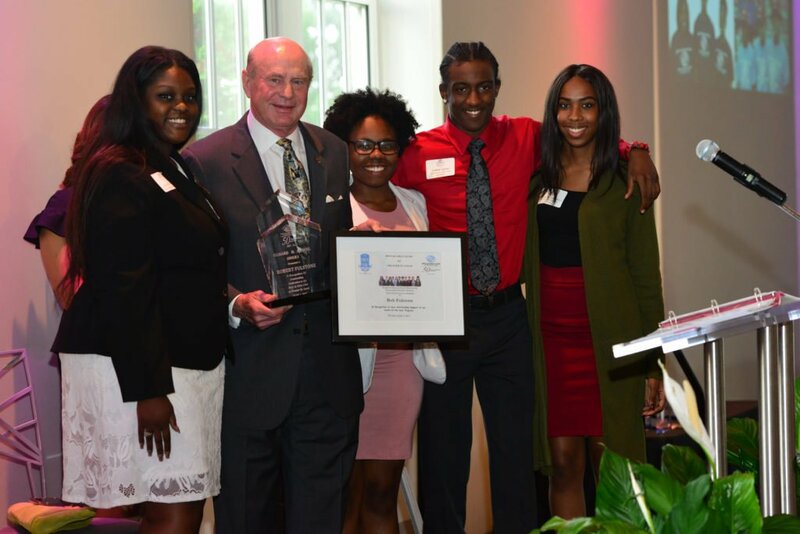 Photo (L to R) JaLisa Wines, 2017 Youth of the Year, Bob Fulstone, BGCSTL Teen Ambassadors, Daija Glover, Ezekial Jones and Michael Monique Mayo.